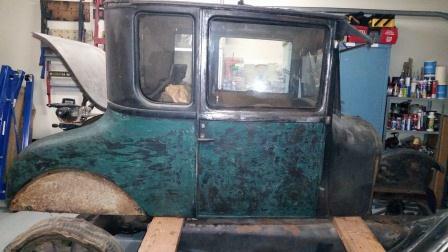 Model T Ford Forum: Was my car originaly Green? Was my car originaly Green? 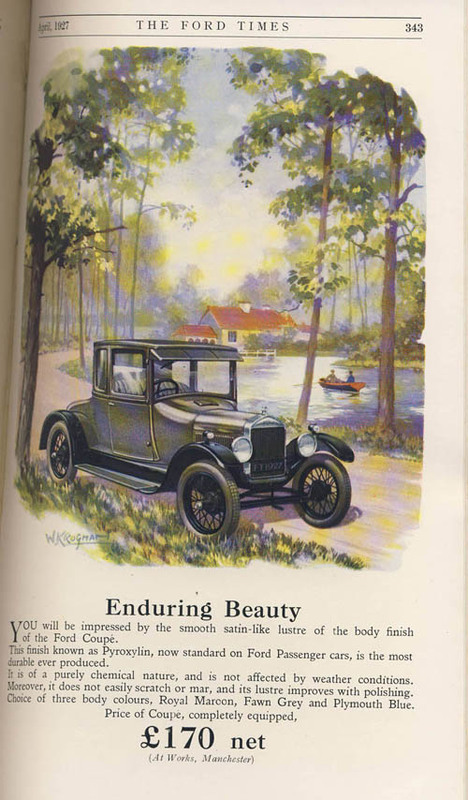 Model T Ford Forum: Forum 2014: Was my car originaly Green? 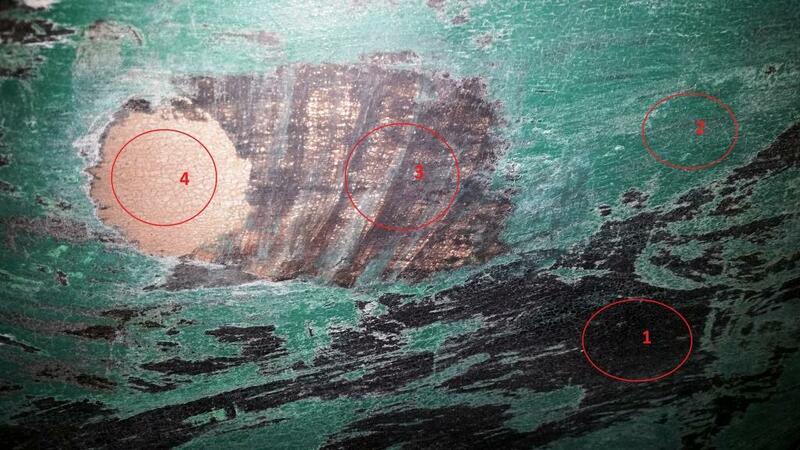 I just started rubbing back my "Black" 1926 model T coupe and found green paint underneath it. Could this be undercoat or has my car been resprayed? The fenders were only black and the top of the doors are only black. Its only the bottom part of the doors that are green. Was my car two-tone? Could this be the Channel Green? Any ideas guys? I have a 26 coupe also ,and rubbing the bottom half is green and top is black, sure looks like mine. does that mean both of our are resprayed or is something else going on? Didn't we learn here within the last year or so that many of the export T's (specifically to Oz) were two-toned? Sorry Mike, I'm only new to this. I have had the car for 5 years but it's been in storage and I have only just (3 weeks) started restoring it. I had this car exported from the US so its an American T. I'm going to do some googling and see what pics I can find of two-toned T's. So is this how mine would have looked back in it's time? Is it Channel Green? and Black? Shawn -- No apology is necessary. I was addressing my question more to the other forum members than to you, hoping that someone had saved that info. I'm glad that Dan did. As far as known, the USA produced T's were never two-tone. 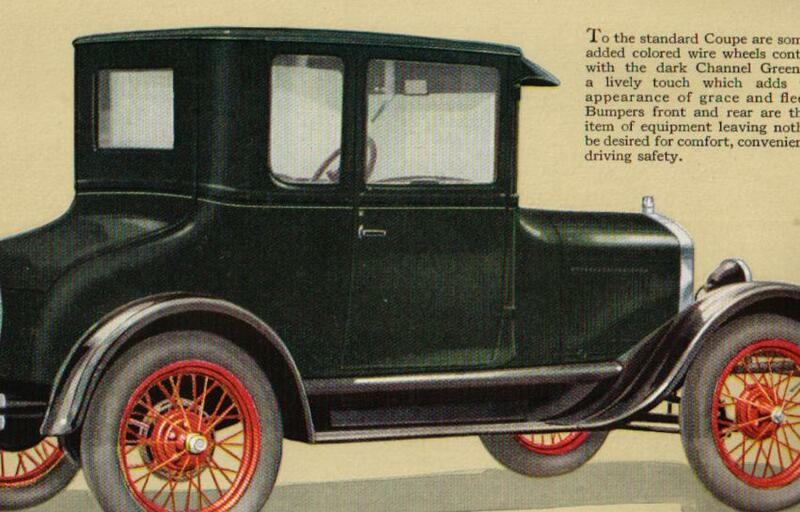 The Canadian T's Improved Car, ('26-'27) may have been two toned, and certainly the Aust. ones were. Keep sanding through the green and see what color is underneath. Hmmm, The engine has made in USA and I have the title that says Oregon. I have just looked at the engine and frame number. The frame is 13 Million number but the engine is a 4 Million number. Does that mean the engine has been swapped to a 1921? I would be interested to know if there is any other colour below the green, and if there is any trace of the coach-line around the waist. This would be on top of the original colour. OK guys just rubbed back the green and there looms like a black underneath but it looks to thin to be the original colour. I will upload a photo tomorrow or the four stages. What is a coach-line? Is that like a gold line that goes around the car on the rib below the window? If so there is no line. Maybe this car was all black and someone have two-toned it. Can anyone shed some light on the engine being a totally different number? Is this normal? 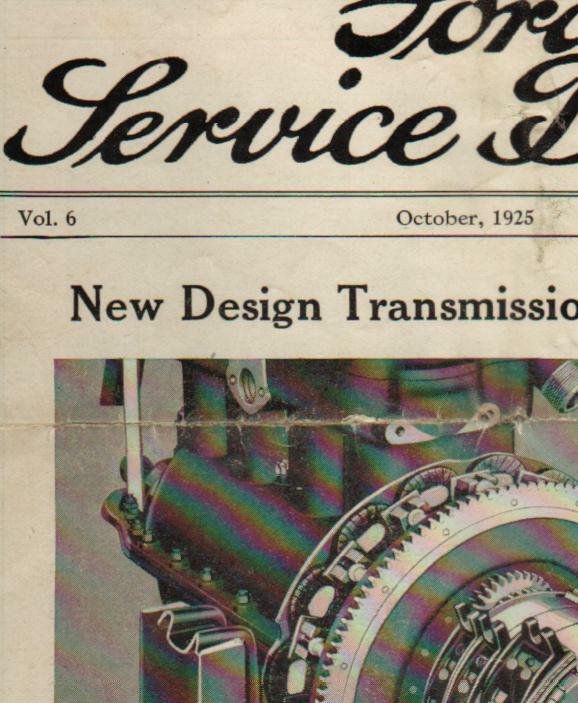 With different numbers on frame and engine, then yes, the motor has been changed at some point, that is typical with the T, as engine swaps are easy to do, major repairs require the power plant to be removed to fix, so many years ago owners found it easier to just replace. 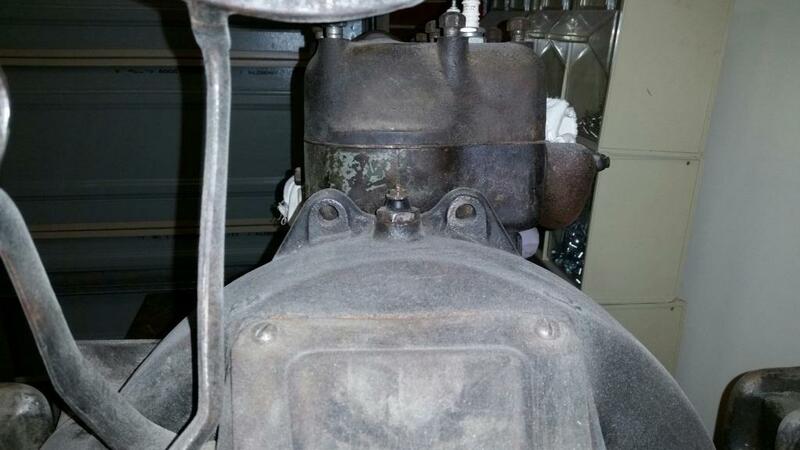 Check the features of your motor, it could be only the block was changed. That would leave your T with a late hogshead and wide pedals, but without comparing features you won't know. 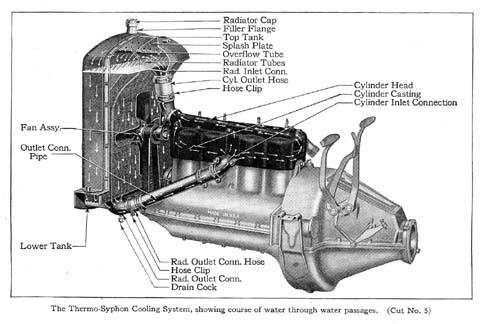 Features of the Improved Car power plant, '26-'27 model years. Shawn -- Your engine's number could be a 14 million number with a faint 1 at the beginning. That year block would have two holes for the bolts at the top of the hogshead, where it bolts to the block. Those were on '26-7 blocks only. A 4 million engine number would be a '20 or '21 model year, which would have two short valve covers on the passenger's side. 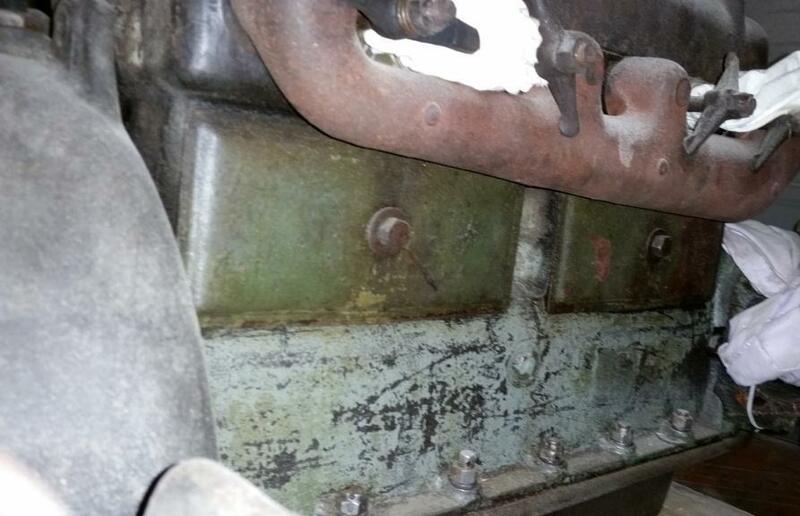 A 14 million number would have one long valve cover. There was a paler green - my car still has it. People have often told me that it's Channel Green, but all the old colour ads (such as those posted above) talk of 'dark Channel Green' and show a dark green. So what is my colour - I've seen other Ts the same? Here's my car (on the left). The words in the ad above suggest it's Fawn Grey. This seems a good time to tell you of my reply to folks who see my T and get all puffed up and give me the old "Any color, so long as it's black" routine (mine is a Touring, and is black). Before you jump all over me, I KNOW this is total bull-hockey. I KNOW it's all a fantasy. But, it seems to de-fuse the situation that might arise if I were to disagree with folks who think they are so smart for knowing the old "any color" story. 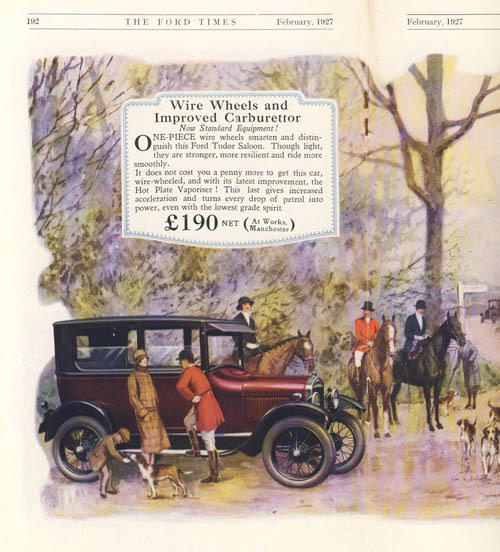 Model T's were painted with Gilsonite. It is made from coal tar. It was flowed on with a garden hose, and when it was dried in a big oven it was thick and shiny. And it was black. Very black. Some Model T's, especially the enclosed models, were painted with different colors. Some were green, some blue, some maroon, and some were two-toned. These colors were made by mixing colorants with the Gilsonite. All came out as rather dark colors, but pretty. In time, however, the coal tar base of the Gilsonite would absorb the colorants, and for all intents and purposes the car looked black. That's the reason for the legend that "You could get any color you wanted, as long as it was black." Please don't jump all over me. I KNOW this is a complete fabrication. But I have found that those folks who are almost religiously intent on the "any color" story are taken in by it, and accept it as true, and we don't get into any arguments. Isn't that worth the trouble? Thanks again for all your info. Here are a few pics. Pic 1 shows all the different paint. 1 is the top black. 2 is the green. 3 is the unknow. 4 is the metal. Could 3 be the original black? it seems very thin. It looks like the engine could be a 1920 model. The block may be but not the transmission. '26-'27. It has the wide pedals and bolt connections on the top. If you didn't find the coach line as shown on Dan's picture (around the waist, across the trunk lid top), it's likely that those panels have been rubbed back to bare steel at some time. You could also rub down a bit of the scuttle and the bulkhead. My car's original colour was found behind the terminal block. These areas will have been the same colour as the doors etc. This looks like a similar situation I ran into on my 26 Tudor. 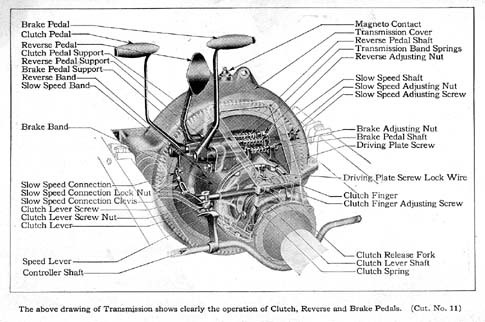 It did have the original engine so I was able to track its production to approximately Nov. 1925. In trying to figure out the original paint scheme, I ran into the same thing: layers of paint. Eventually I (along with the rest of forum) determined that the car had been painted black. In successive years it was painted a shade of green, pale blue, then back to black. 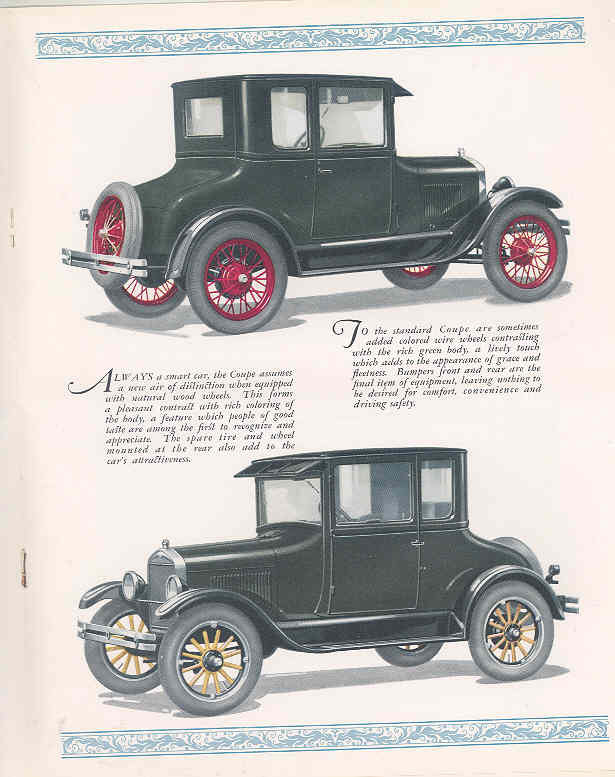 I remember reading in McCaulley's book that (even though it was announced earlier) car were not painted Channel Green well into the production model year in 1926. That seems to jive with the survivors I've seen. The earlier Tudor cars of 1926 are black, and later one produced after mid-summer '26 are indeed painted channel green (in most cases). There does seem to be different shades of Channel Green out there though. It get confusing. Thanks everyone for all your input and help. Once it comes time to paint it I will be putting it back to original which looks to be Black. It's a shame about the block being a different year but as long as it's ok I don't think I will change it. A big thanks again guys. Question. 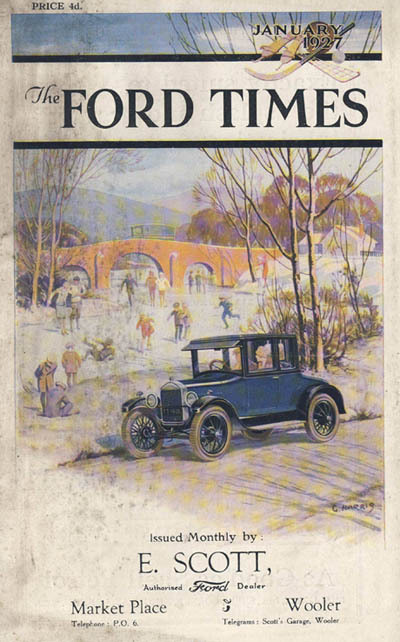 "The Ford Times" book I see above where do I get one? It looks great.